Just today at CES, Nokia announced their third Windows Phone (after the Lumia 800 and Lumia 710), which is also the biggest and thinnest, the Nokia Lumia 900. It promises a bigger, faster, stronger smartphone experience thanks to larger screen, faster processor and support for the fastest mobile data transfers available to date. The Lumia 900 allows data downloads up to 50Mbps on a 4G LTE network. It boasts a large, 4.3-inch AMOLED ClearBlack display to offer a big, crystal clear and super-colorful screen indoors and out. The resolution is 800 by 480 pixels. The device runs on a 1.4GHz Qualcomm Snapdragon processor and an updated chipset to support LTE and also Windows Phone Release 7.5 – Mango Commercial Release 2 (Mango + LTE). It has 16 GB internal memory (14.5GB user memory) + SkyDrive cloud storage of 25GB space. 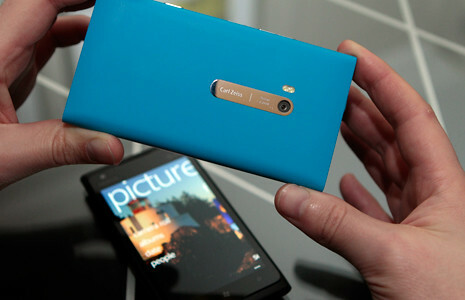 The Lumia 900, like the Lumia 800 and the N9 comes in a form of a polycarbonate unibody design with 3 colours; cyan, magenta and black. With bigger screen comes bigger battery. 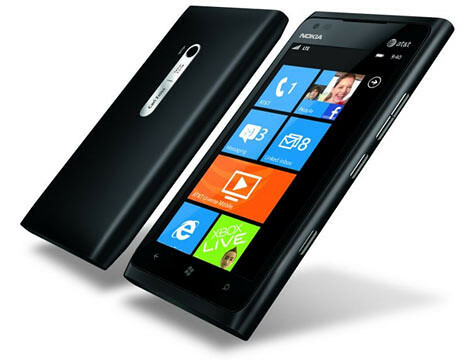 the Lumia 900 has an 1840mAH battery and will last for about 7hrs talk-time and up to 300hrs on standby. On the back, the Lumia 900 comes with an 8-megapixel camera with a Carl Zeiss lens and a dual LED flash. This model has a larger, f2.2/28mm aperture, allowing more light into the camera for faster performance, lower chance of motion blur and better low-light shots. It also supports hi-res video capture at 720p/30fps. The front-facing camera supports video calls with it’s 1-megapixel f2.4 lens and records video at 30fps. 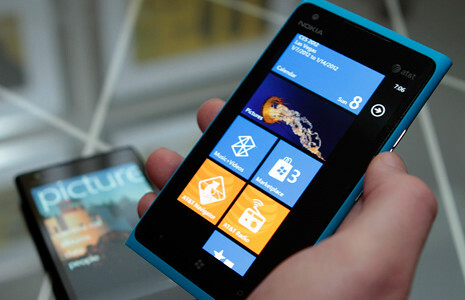 Check out the first Nokia Lumia 900 hands-on video above. One Response to "Nokia’s Biggest & Thinnest Windows Phone, The Nokia Lumia 900 [video]"